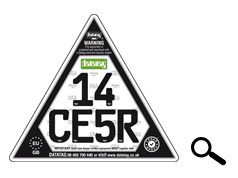 CESAR, the only official equipment security and registration scheme in the UK, was launched into agriculture at the Tillage exhibition in September 2009, after endorsement from the Agricultural Engineers Association (AEA). Now, just 27 months later, the number of cumulative machine registrations has topped 70,000 units, of which 32,000 machines are working in British agriculture, making CESAR the most successful scheme of its type anywhere in the world. The distinctive CESAR triangular registration plate is now a familiar sight on British farms acting as a powerful deterrent against theft and an invaluable aid in recovery. CESAR, which is fitted as standard by leading manufacturers including New Holland, John Deere, McCormick, Valtra, Zetor, JCB, and Manitou, can protect all types of agricultural equipment from mowers and quad bikes to high-horsepower tractors and combines. Equipment fitted with CESAR can attract insurance premium discounts of up to 12.5% from leading insurers including NFU Mutual. Agricultural equipment theft is a huge problem and one that is growing. The statistical evidence indicates that specific types of rural crime are increasing, led by the theft of expensive tractors. Figures compiled by the Met Police's Plant and Agricultural National Intelligence Unit (PANIU) show a 22% year on year increase in tractor thefts. Equipment theft is largely the work of organised criminal networks that 'steal to order' and ship the machines around the world within hours of them being stolen. However, opportunistic thieves are also a problem, particularly with smaller equipment like quad bikes and trailers. According to figures released by the NFU Mutual, the major rural insurer, the costs of equipment theft to farmers are up 26% in England, 57% in Scotland and 28% in Northern Ireland. With the increasing sophistication of organised criminal gangs and the challenges of policing a rural environment, it is clear that the police cannot cope alone and that the agricultural community has to take sensible precautions and adopt 'best practice' to minimise the very real risk of equipment theft. 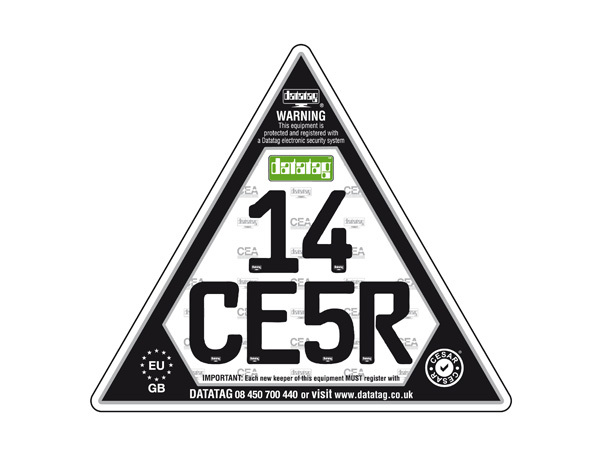 Datatag ID Limited, the power behind the CESAR scheme, is tackling the issue with the launch of a new comprehensive 'total-farm security marking system'. Incorporating an array of high technology security marking devices including Radio-frequency identification (RFID) transponders, forensic liquid DNA, microscopic Datadots®, and, UV stealth etching technology the new Datatag system can protect what the thieves are looking for including tractors, telescopic handlers, quad bikes, tools, trailers, 4x4 vehicles, and farmhouse valuables. The Datatag security marking system gives each piece of equipment a unique 'fingerprint' that thieves simply cannot remove. The 'total-farm security marking system' acts as a powerful deterrent against theft and an invaluable aid in recovery. Criminals recognise Datatag and CESAR instantly and regard marked equipment as 'too hot to handle'. The Datatag 'total-farm security marking system' is convenient to install with a minimum of fuss. Datatag has a network of fully trained and CRB checked installers across the UK who can quickly protect a farm, the family home, and equipment. Proof of ownership and the original registration documents are required for vehicles protected under the CESAR scheme.